This is another beautiful piece perfect for those people who want something different! Its been designed cut and molded out of Lucite Lux by me. Lucite Lux is a very durable and pretty form of glorified acrylic type material. 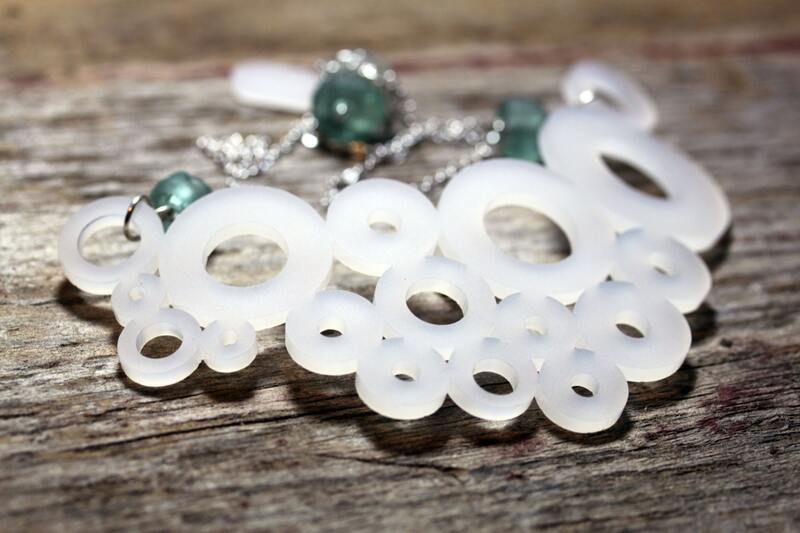 It also features recycled glass beads for that added beauty.